I will never forget one of the angriest teenagers I ever met. I will call her Kayla. Kayla was one of those teenagers that could be set off at any moment. When she was set off, look out. EXPLOSION!!! You might hear any curse word in the book (some I didn't know at the time), you might see things kicked or thrown, and when finished she would probably storm out the room in a violent rage. Kayla was in my class during my first year as a 10th grade teacher. When it came to angry teens, all I knew was what I was taught in college, which wasn't much. 1. Learn to increase your effectiveness with such teens. Don't make mistakes like, returning the student’s anger, avoiding the teen, being inconsistent or attempting to reason with an out-of-control teen. You must learn to remain calm and not allow the teen to get to you. Learn to empathize with the teen. This does not mean you have to give in but that you relate to the teen. Have a structured classroom. And perhaps most importantly, have a behavior management plan which has a set of consequences and rewards. And even more important than that, be consistent with them. 2. Recognize ODD and its symptoms. 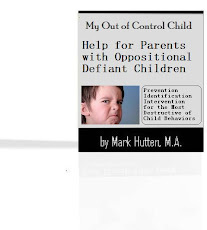 ODD [Oppositional Defiant Disorder] is a pattern of hostile, violent and disruptive behavior which is very clearly outside the normal range of behavior for a child of the same age and culture. Symptoms of ODD include being easily annoyed or irritated, changes from contented mood to angry mood in seconds, outbursts during class, blaming others for own mistakes and a teen who persistently insists on having their way. The causes of ODD are numerous and include neurological causes and chemical imbalances in the brain. When dealing with a teen that has ODD it is important not to react strongly and emotionally. Try not to let the teen know what gets to you. You must remain relaxed and cool while the teen is trying to push you over the edge. 3. Understand ADD and the impacts of medication. ADD, Attention Deficit Disorder is very common among young people. This is a mental illness that impairs a teen’s ability to stay focused. Symptoms of ADD will include difficulty listening and following directions, being easily distracted, inconsistent school performance and difficulty working independently. Like ODD, ADD can only be diagnosed by a doctor. Medication will often be prescribed, usually Ritalin or Adderall, and it is important to watch for certain problems. Teens should be started at a low dose and monitored carefully. If the parent neglects this responsibility, the effects will be noticeable. Dealing with angry teens can be quite a challenge. But being educated on symptoms of various disorders, and creating an environment that is structured, can help you to have success with them.